A beautiful smile is incomplete without beautiful teeth.So why not take care of them as mouth is healthy stomach is healthy as bacteria's in mouth enter the system. It is advisable not to brush your teeth so many times as regular brushing removes the enamel from the teeth and make them sensitive and appear yellow. 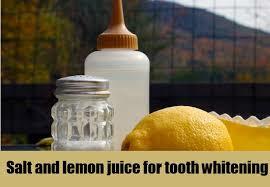 Applying baking soda and hydrogen peroxide is useful for whitening them. Healthy teeth originates from healthy gums so massage teeth and gums with salt and mustard oil for killing infections and making them healthy. Neem tree stem chewed is excellent antiseptic and tooth cleaner. 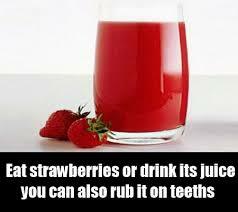 Eating apple or strawberries after meals or generally will help your teeth cleaned properly and naturally. After any meal gargle teeth with water so that no matter settles on them and stains them. Brush your teeth with apple-cider vinegar for sparkling smile. Eating of raw fruits and veggies also help in cleaning them. Rubbing salt with oil on gums and teeth make them strong and odor free.Can also use turmeric the same way. Avoid coffee,tea,pastries,sweets,chocolates and never remove stains by rubbing your finger on the teeth. Drinking green tea and milk is also beneficial for the teeth. Try to eat apple as a whole rather than cutting with knife.This strengthens teeth and is also a good exercise for them. 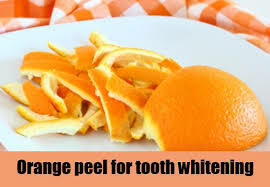 Mix dry basil leaves with dry orange peel powder and apply on teeth for 20 min.Then rinse your mouth. Cory Thiarello writing for FaceDoctor. Our highly beneficial Herbal hair conditioner and herbal hair products have found wide acceptance over the past years. I didn't know that you can use apple cider vinegar for your teeth. I have used baking soda in brushing my teeth before. My dentist in Memphis, TN has also told me to use it for whiter teeth. But of course, I still don't forget to have my teeth checked up by my dentist (Memphis, TN-based practitioner) for any problems that can be detected early. I only have three basic tips to share to maintain your teeth whiter and healthy. The first one is to keep on eating healthy diet which means vegetables and fruits just like what you said and then second would be avoid staining food or drinks like tea, coffee and cigarette. And the last one is to maintain a regular checkups and cleanings. If you really want the easiest and fastest way to make your teeth whiter, I suggest to talk to your dentist for proper procedures. Everyone will benefit from this post. Thanks for encouraging everyone to use natural and organic products rather than pharmaceutical drugs. Thanks all for supportive comments!! Thank you so much for this post. I really do take care of my teeth and go for regular dental check-ups. However, these tips are really so natural and easy to do, so thank you so much for these.